Sleeping Beauty, 1977, from Fag Ash Lil's Tate Retrospective. 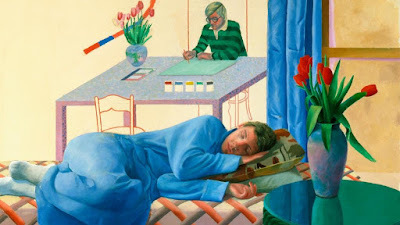 Here's a long article about Hockney by Waldemar Januszczak from The Sunday Times. She's 80 now, you know?